The Ford 2016 Super Duty Series have arrived and once again Ford has delivered a performance truck that will simply, get the job done. Since 1998, these 8,500 lbs + trucks have been king of the road and have proved their worth as a great tool for many Americans across the country. The 2016 Super Duty is no different making this a great option for our Tomball area drivers. Depending on the work and play you’re expecting out of your truck, Ford provides a range of efficient to powerful engine packages. The most powerful will be the 2nd Generation 6.7L PowerStoke V8 Diesel engine which will provide 440 horse power. It will also grant you best-in-class 860 lb.-ft. of standard torque as well as best-in-class fuel economy. This turbo diesel will give you all the power you expect out of a performance Ford truck. If you’re looking to tow or haul, the Super Duty may be a good option for you. Many of these vehicles will come with upgraded suspension, tires, and towing gear. The F-350 Trailer Tow Package features a wide-track front axle which the comes standard on the F-450. The Tow/Haul mode and engine exhaust braking when combined will increase your control and reduce downhill brake-use when you’re transporting a heavy load. This means your Ford is meant to last as long as you so you can get the job finished. Check out the King Ranch trim and experience what it’s like to have a capable ranch hand on duty. These upgraded vehicles (also available in the F-150 and Expedition) are designed with home in mind. Your King Ranch Ford is not just a tool but a gateway to get the job done. We know the Ford Super Duties are more than capable, but now drivers will have the option to incorporate their own media into the mix. The Ford SYNC system will allow you to easily connect to your vehicle for making phone calls, changing stations, even 911 assistance if you spot danger. The SYNC 3 touchscreen system provides even more services that, combined with your smartphone, will never leave you disconnected if you so desire. Also available is the LCD Productivity Screen which will display a variety of valuable information including, fuel economy, pitch, roll, and turning radius all view-able from the five in-wheel toggle switches. What makes the Super Duty such a historically capable truck is its ability to get the job done. Ford proudly provides its drivers the tools to ensure all their driving related needs are met. The efficient use of under seat storage and lockable compartments shows how this truck is prepared to not only safely transport you, but the world you want to haul around as well. 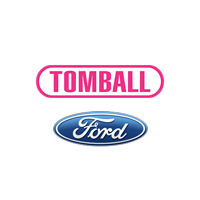 Come down to Tomball Ford now to test drive one of our many Super Duties and decide which one is right for you.